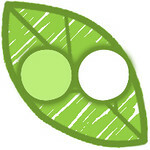 Hello, and welcome to the Holiday II Essentials by Ellen Release Hop! 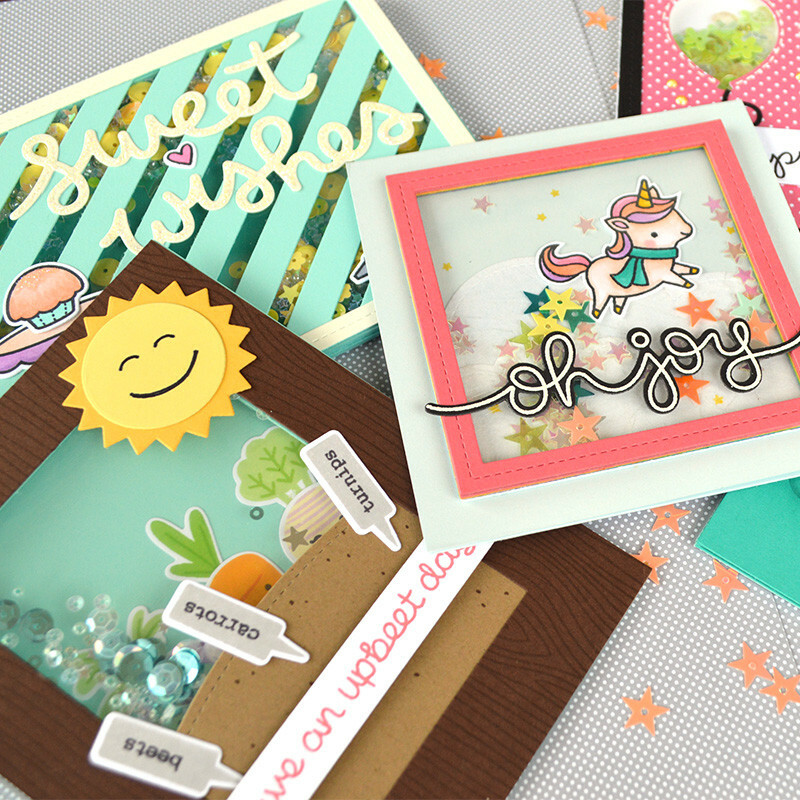 Today I’ll be showcasing several of the new stamp sets and dies from this release! 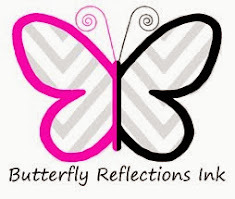 You should be arriving from Carly Minner's blog. 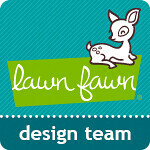 To start at the beginning or if you get lost along the way please visit the CLASSroom blog for a complete list of all the designers. Also, I get to give away an Essentials by Ellen stamp set! The winner may chose ANY Essentials by Ellen brand stamp set (maximum value $15) currently in stock at Ellen Hutson.com To enter my giveaway, please leave a comment on today’s post with a valid email address by October 27th! My first two cards use dies from the new Poinsettia and Pine die set. Both cards use the same technique of coloring microfine glitter with copic markers. For this technique I applied Stick It adhesive sheets to some white cardstock and then die cut the pieces. After they were cut I could remove the liner paper exposing the adhesive and then add the glitter. After rubbing the glitter into the paper I could then add the color with the markers. When doing this technique I am careful not to color with too much pressure, typically I do more of a stipple type coloring to be sure to keep the nibs of my markers from getting damaged. The sentiment is stamped with gold Delicata ink and I added some gold splatters using Tarnished Brass Distress spray. I added some fossilzed amber distress ink behind the center of the flower. This card uses the same technique and has some clear gems and peppermint twine for embellishment. My final cards feature the new Tis The Season dies. 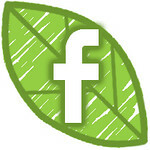 That's right now you can die cut these fun images. One of my favorite things about dies is their ability to cut different surfaces so of course that is exactly what I did. I stamped both images with archival ink. The sweater was stamped on wool felt and the gingerbread man on cork. I love that the dies cut each image out perfectly. I added some hand stitching over the tree on the sweater and added a star gem for embellishment. Next head over and visit Carolyn Peeler. Happy hoppin’! Your Peace on Earth card is my favorite. Beautiful in its simplicity! Love your cards, simple and beautiful! So simple but so fabulous!! That glitter technique is wonderful and I can't wait to give it a try! Thanks for the inspiration! That sweater is my favorite!! Gorgeous cards! The glitter technique is awesome! Cuteness! I especially like the second card. Thank you for the inspiration! Love the new stamps and your cards. Especially the sweater and peace cards. That poinsettia is GORGEOUS! Thank you so much! Your Joy to the world card is so wintery wonderful! 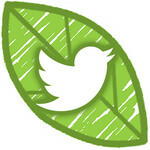 Love those branch images! Very sweet cards! Love that red wool sweater! That's an awesome technique! Will be breaking out my Copics to try that! Great job on showing the versatility of the dies. I haven't coloured glitter for a while. Time to give it a try again. What wonderful cards. I am enjoying the hop. It's so fun to see the ideas and creations for this new release! I need to try coloring glitter. I wonder if color could also be sponged on? Or with a felt applicator like the polished stone technique? So simple, but truly wonderful! Thanks for sharing. Love the glitter technique. Very pretty on the cards. Thx. Your glittery cards are so festive! These are beautiful! I may have to try your glitter technique later! Those last two cards are awesome. Love that you die cut them out of felt and colk. The texture is perfect. Also, smitten with those glittery diecuts on your first to cards. Very festive. Wonderful cards! Those sparkly die cuts just look amazing!!! i love the way you have added texture and shine to your cards. Very Festive! Love the shimmer on your cards! I'm so glad there are dies for Tis the Season now! Lovely and adorable!! Great card combos!! Nice variety! Thank you for sharing! Beautiful! Thanks for the opportunity to win a free stamp set!! Love the designs and colors. Great use of the products. OH my gosh love the non traditional look so great. The others are so snap cute! Thanks for sharing these great techniques....definitely going to try this! Love your cards! I can't believe I can now cut the little sweater out of felt. Thanks so much for all the inspiration. Your first card is so beautiful - love the glittering technique. What a beautiful pointsetta card! Thanks for sharing. Very nice! The glitter technique is amazing! Your cards are all so nicely done and very pretty. Love the gingerbread man out of cork! So cute! Thanks for sharing! Chari, what a creative idea to color the glitter. Thanks so much for sharing your creativity with all of us. I love your cards!! Love your glittered peace on earth card. Good glitz! I have colored glitter paper but never thought to color glitter like this before! great idea! Love the cards. I love the Peace card. Stunningly beautiful. I adore your creations! 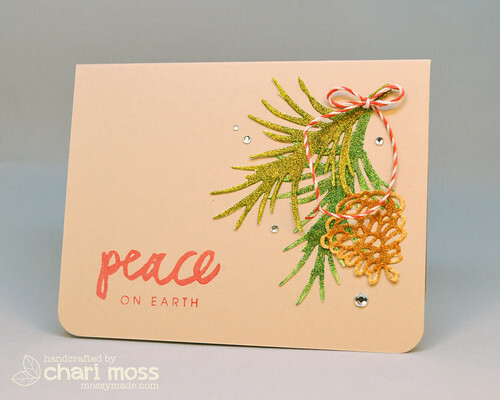 The Peace on Earth card is so elegant & so is the Poinsettia & Pine card! Love your techniques! Also enjoyed the sweater & snap cards. So cute! TFS! Great cards! Love the colored glitter! I just love your Peace on Earth pine cone card! Love the colors and the pretty design! Fabulous cards! Love the glitter! How cute is a sweater on felt! Such adorable cards! I can't pick a favorite. All of them are so cute! Love your cards. The Joy to the World is not your typical Christmas card. very pretty, all of the cards! Honestly Chari, I could not pick a favorite...truly! They are all adorable and I am a fan of CAS cards because it always amazes me how little it takes to inspire such a beautiful piece. Thank you sweetie and keep them coming! Your cards are beautiful. The little gingerbread man is precious. Nice job of using the new stamp and die sets. Everything on these cards are beautiful!! All the cards are loverly. your glitter technique really makes them festive. Great cards. Thanks for all the inspiration. Ooh, I really like the copic colored glitter on your first card. I could see using that die as a sunflower for non-holiday cards. Thanks for the inspiration. if I had to choose one card as my favorite? I wouldn't be able to all four are stunning. Great cards. The first 2 are so pretty and the last ones are adorable. Love the felt sweater! Thanks so much. These are such fun cards. I love the pine cone design and that cute little sweater! Love the glittery cards, so pretty! Love your cards and this new release!! Wow, those glittery cards are stunning, and the sweater ones are adorable! Wonderful cards! Love the "Oh snap" card. Love the simplicity of your holiday cards. Wow!! Beautiful cards!! Love the sweater and gingerbread man. 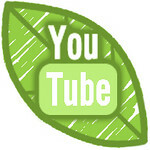 Beautiful job, the first on is my favorite,b ut they are all wonderful! Thanks for sharing your talent with us. Beautiful! I love the glitter! Love your cards and appreciate the technique suggestions for using the glitter! I love the simple elegance of your designs. Liking your colour choices. So pretty! Your cards are great. Love that glitter technique and that adorable little gingerbread man!! Those glitter cards are really awesome. Love the cards! The wool sweater and cork cookie are to die for! I absolutely love the colors on the "joy" card! Love the colored glitter & the little sweater is adorable. Thanks for sharing! Beautiful cards! I love the Poinsettia flower card and the the wool felt sweater is awesome! Beautiful cards! Love the oh snap gingerbread one! Oh my goodness! Your glitter and marker technique is amazing! Whoa! And who'd ever think of stamping on wool felt and cork; YOU obviously! So very cute and clever! TFS! Enjoyed your cards and it was nice to see the felt and cork used. Thanks. Great use of the die cuts. Thanks for showing off the die cuts! I think that's the first poinsettia that I've seen so far in the hop, so thanks for the lovely display. Those cards are great! I'm going to have to bring out my microfine glitter & get creative! Thanks for sharing! So beautiful, especially the peace card! Love it! I am loving all the sparkle from the glitter on these gorgeous cards! Beautiful work Chari! Thanks for the chance to win! Love it! Beautiful work. Thank you. The coloring over glitter idea is fantastic! Love that you incorporate different materials in your cards! gorgeous! esp the leaves with the glitter! Thank you, nice to get new inspiration. such pretty cards Chari.. you are sooooo talented girl! I am digging the "halo" around your flower - really makes that die pop. I really can't decide which card I like better, they are all so gorgeous!! Somehow the first card reminds me of the magic flower in tangled. >< Really really love the glitter, it makes simple card designs look amazing!! Sooo wonderful, love the glitz! Your projects are all beautiful. Love the flower on the first card! I like the way you placed your die cut over a spot of ink! Wonderful cards, love the fabulous flower & joy card!!!! So creative. I love the use of non traditional colors. Fabulous holiday cards! I love this new release. Love the joy to the world and peace cards. I really like that pine and poinsettia die set. That is on my list to get. Beautiful glitter cards! And I love the cork gingerbread man! Clever. I bought some StickIt and I love it. Will have to try it with this great glitter technique. I've never tried coloring on glitter. It will go on my "to-do" crafting list! Great ideas!! Thanks for the inspiration. Such beautiful cards. Love the effect of the markers on the glitter. i like that you stamped on something other than paper!!! I love the stamping you did on the other textures (felt and cork). Really neat! Love your cards and the glitter technique. Great idea with the felt and cork. oh, subtlety sparkly! custom color glitter, yum. 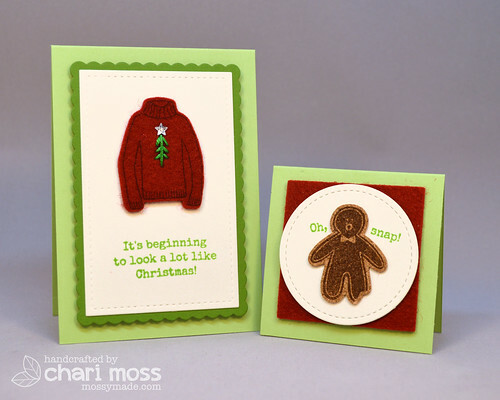 The glittered and colored die cuts are wonderful and I love the texture of the wool and cork die cuts! I adore the hand stitching on the sweater and the star is a fabulous finishing touch! Thanks so much for sharing! I love the flower and how sparkly everything is you can never have too much sparkle! Beautiful cards! I love the glitter Copic technique you used. Love the Christmas Scribbles word stamps! That Glitter technique is awesome. I'd love to see a video for this! Fantastic cards Chari. Especially ove the pretty poinsettia on the first one... the microfine glitter sure does look amazing. 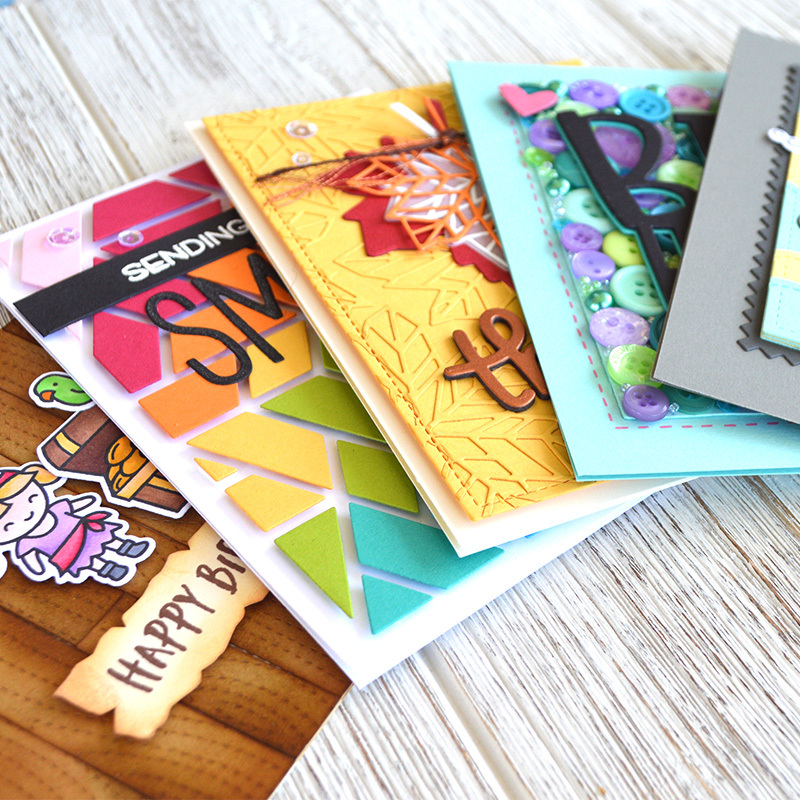 beautiful and super sweet design for your cards! 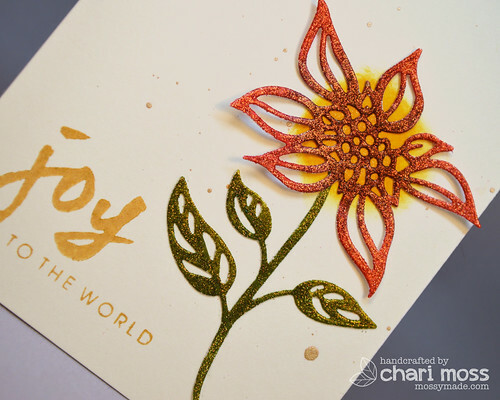 I adore the first two cards, Chari, but using felt and cork on the last ones was genius! Love the poinsettia and the dimension!! Your poinsettia card is so beautiful and elegant! love how you used the dies, all so pretty! Really cool projects. Thanks for sharing. Very different coloring on your first two cards...loved them! Beautiful cards! I especially love the first one - gotta try that technique! Your Peace card is just beautiful! Fabulous cards and love the glitter technique you used. I will have to try that one! TFS. Great cards! 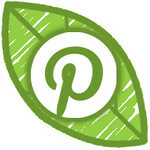 Love all the inspiration and ideas! your joy to the world and peace on earth cards are wonderful. the oh snap card is terrific. Love the stand alone dies! Can't really pick a favorite because they all are so wonderful...but I'd have to pick your Peace On Earth Card! Really showcases the wonderful new collection well. Beautiful projects. Love the flower that is popped off the card. The sweater and the gingerbread man are great too. Thanks for sharing your technique of coloring the glitter. Neat cards! The sweater card is my favorite! Cute ideas. Such great techniques! I love that you die cut on surfaces that would resemble the texture of the respective items, great idea! Thanks for the tip on stippling color onto the glitter. I'd hate to thrash the tips of my markers! Great cards, tips and techniques here. Thank you for sharing. I really like the sweater card! Super cute! Love all the shimmer and shine on your cards. Ooh a must try technique! Gorgeous- just love that glitter technique!!! 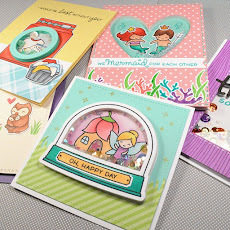 SUPER CUTE and GORGEOUS cards Chari!!! Super cards. I love the glitter and shine. Gosh, there is so much to love about each of your cards! Thanks for the tips about coloring glitter, too. I absolutely love the effect of the micro glitter! Good job! 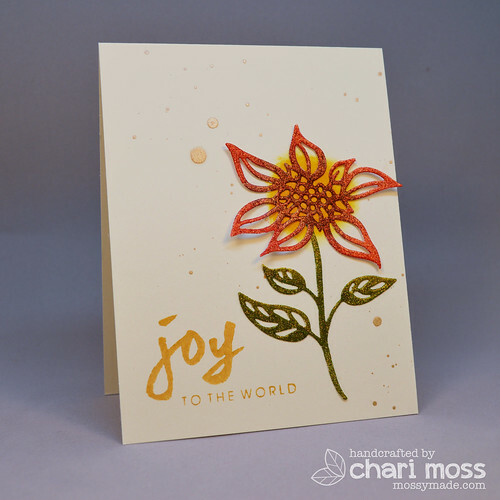 Thanks for the tip on using the Stick-it adhesive for the embossing powder base--love it!